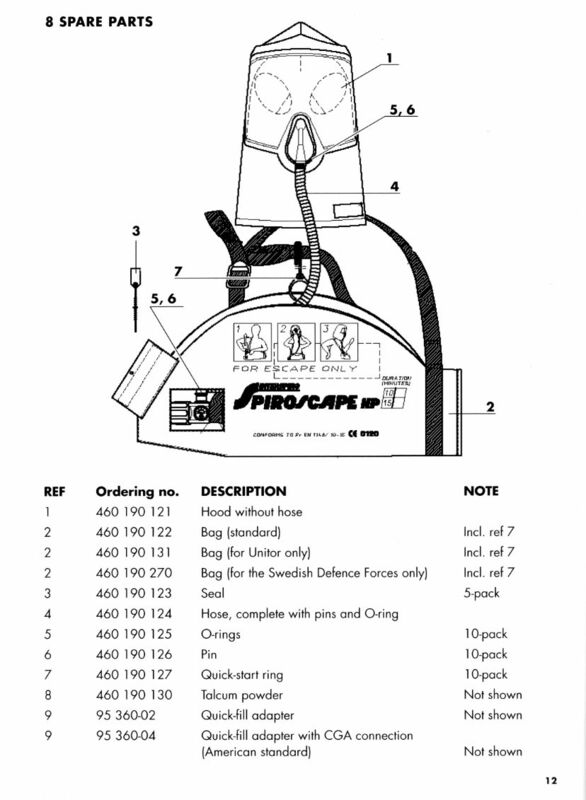 Many of our customers use Spiroscape as a safe means of escape from contaminated atmospheres. Spiroscape is fast to deploy, safe for long term storage in a variety of conditions and it is relatively free of extensive maintenance – most spare parts requirements being easily fitted by the user. In fact, it is the most popular such equipment in our hire-list. Customers must, however, be aware that CoSHH Regulations require the equipment (and any otherbreathing apparatus or re-usable RPE) to be testedfunctional at least monthly and otherwise to betested/serviced according to the approvals granted to it: and the test protocol under which it has been approved. Records of inspection must be maintained for at least fiveyears following the final use of such kit and it is prudent that a record of use is maintained; to help conform with the health (CoSHH) exposure records required, under the Health & Safety at Work Regulations. As you may know, when we hire out equipment, we maintain such records, on behalf of our clients and for our own QA records. We keep these for at least five years after contracts have completed, so that appropriate reference may be afterwards made. Each year, performance must be checked and the required range of flow-rates for the Spiroscape, confirmed functional. Equipment must be clean, stored dry and dust free and defective or worn components replaced in due form. Every five years, the kit needs complete disassembly and its air cylinder must be proof tested, by law. Test dates, stamped on the cylinder indicate due periods and identify the manufacturer, the service agent and the serial number. To improve logistic and service convenience, you too, may be eligible for an annual service exchange scheme. Each SDBA is annually changed for a fully serviced replacement at a regular, fixed price. You may cease the contract at any point by giving three weeks' notice, if you decide on different arrangements. Exchanges are serviced from our premises and we remind you, a month before service falls due. 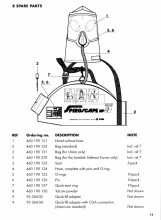 The price includes all due cylinder testing, replacement and maintenance items, service records maintenance and a twelve month warranty mark: subject to our published warranty terms. To take advantage of this service, we need to confirm and assess your kit, its serial number, its type and to make suitable visit arrangements; prior to confirming acceptance. An annual fee per kit is charged: £69.00 net of carriage (where required) and VAT. Click the button below to add the Annual Service exchange scheme for Spiroscape SDBA to your wish list.